Used by law enforcement tactical units who praise its multi-use functionality. Our fully adjustable sling enables the user to easily transition shooting positions, swing the weapon out of the way for easy access to sidearm, or if needed, completely disconnect or re-lock the weapon to the sling. 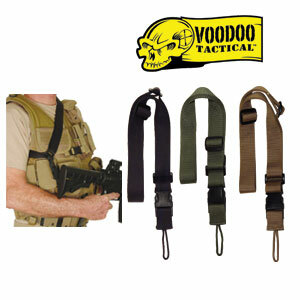 Constructed of 1.75" wide military grade nylon webbing and available in Black, O. D. or Coyote.